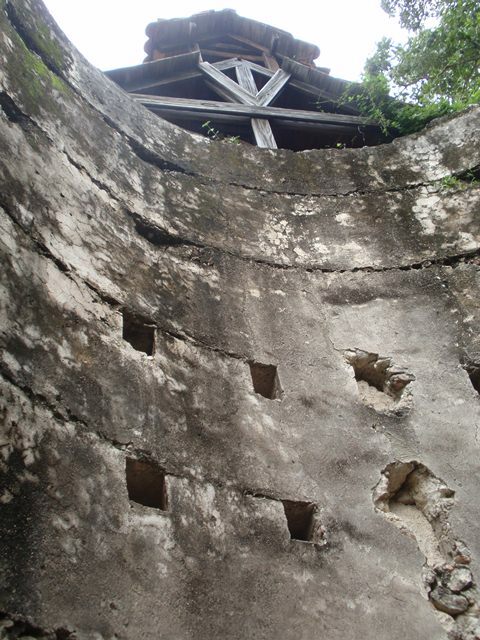 The first mill we visited, Ingenio Santa Isable/Boca Nigua, was built in 1508 and restored in 1978. The Spanish part of the island, and where the slaves lived, is the site of the second major slave revolt, which took place in 1796. The second mill ruin we visited, a few hundred yards away, was situated on the River Nigua. Very little of its structure is left, but the canal, which was an integral part of the mill, still stands. Built in 1504, it was the very first sugar mill in Spanish America. It is fascinating to walk around these sites, imagining and sensing the magnitude of what once was the thriving force of slave labor for sugar production in Latin America, and to reflect the socio-economic complexity of colonization. Many slaves lost hands, limbs, even their very lives to the process. This horrific thought stayed with me long after we departed. My colleagues and I observed the absence of signs and billboards, or anything else that might have indicated the site’s importance. It was as if nothing of relevance ever happened. Travel books list the mills as historical sites of the Colonial period, yet even there, there is little recognition. Where is the tribute or honor paid to the many workers of African and indigenous descent who contributed to the wealth of the island? One can only wonder. Myriam was an educator participant in the Yale University PIER – Yale University CLAIS – NYU CLACS Summer Educator Institute on Colonial Latin America in July 2011. For my reflection of the visits to the different Taino – Colonial settings and museums, I have to state that as a Dominican student growing up in this country in the late 60’s all of the 70’s, I had limited knowledge of the level of history, the richness and above all, the great significance that 1492 and the century that follow meant to the encounter and development of modern day society in the Americas and the impact on the rest of the world. Studying the Tainos from a historical, anthropological, sociological, political and humanist perspectives has allow me to developed a very different and paradoxical view of their way of life, systems, social structure, rituals, and above all – more in accord with the reality of their times and not the romanticize, embellished or infantile view that was presented in my early 8 years of education in the Dominican Republic, or the obligatory week long imposed curriculum of my high school years in suburbia schooling USA – often titled “Celebrating Columbus”. I live in the Diaspora. If one wants to learn about one’s history, the best thing to do is to go there. Sadly enough, I must admit that what sparked my desire to reflect on my history was not my many, many visits to the Dominican Republic, or my newly minted “Cedula” that functions as my ID and gives the background of my dual citizenship. No. It pains me to say that even thought as a committed teacher of Spanish and Latin American studies, it was not the hours of preparation to deliver an educational unit that was more than just a celebration, but a critical and thought provoking exposition and discussion of the living history of the real founders of the Pre-Colonial Americas, los indios. PBS recently aired Cuba: The Next Revolution, the second episode of a four-part series titled Black in Latin America. The latest production effort of Harvard scholar Henry Louis Gates, Jr., this series explores the influence of African descent on Latin America, looking specifically at the Dominican Republic, Haiti, Cuba, Brazil, Mexico, and Peru. Enriching the episodes with interviews with scholars, overlooked or underrepresented historical moments, and recent research on the region, Prof. Gates has created a series which “celebrates the massive influence of millions of people of African descent on the history and culture of Latin America and the Caribbean, and considers why and how their contribution is often forgotten or ignored” (PBS website). 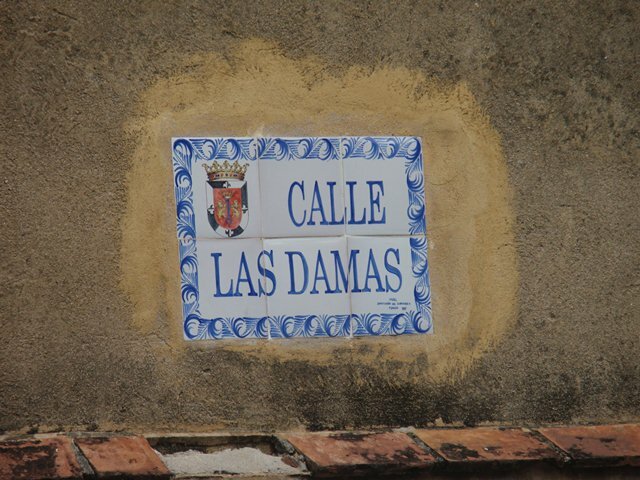 Last summer, Professor Gates interviewed Ada Ferrer about ideas of race in Cuba during the mid to late 19th century. This interview has been included in the Cuba: The Next Revolution episode (starts at minute 7:00), and helps describe sentiments toward racism and nationalism in Cuba at the time of the War of Independence. 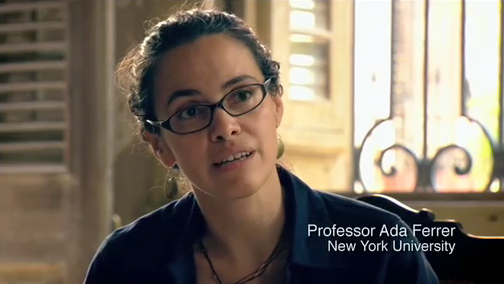 Ada Ferrer is Associate Professor of History at NYU and Director of CLACS, and has written extensively on Cuba. The French translation of her highly acclaimed book Insurgent Cuba: Race, Nation, and Revolution, 1868-1898 is forthcoming this year. 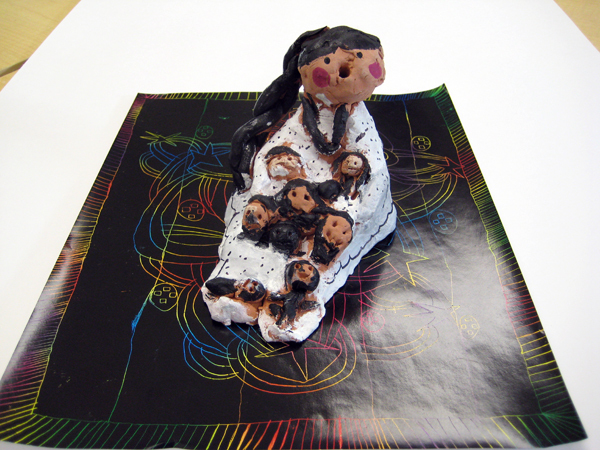 Among the online resources which accompany the series are curricular materials developed by Karen Michels through the Fall 2010 CLACS Teacher Residency Program. 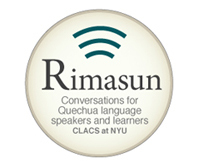 Part of CLACS’ K-12 Outreach initiatives, the Teacher Residency Program offers NYC teachers the chance to work with NYU professors and access NYU library resources as they investigate a Latin America or Caribbean-related topic of interest to them. A teacher at the Beacon School in New York City, Karen had proposed to study Race and Government Policy in Revolutionary Cuba while participating in the program. Prof. Ferrer served as Karen’s principal advisor, offering her intellectual guidance and support throughout Karen’s time on the NYU campus. While Karen’s lesson ideas can be found on the CLACS website along with other K-12 curricular materials, they have also been included on the PBS website as educational resources which complement the Race in Latin America series. Participants returned to UNICEF to continue discussions about ways in which the topic of gender equality could be incorporated into classroom activities for English Language Learners (ELLs). Teachers reviewed the TeachUNICEF website where readily accessible lesson plans, photo essays and videos can be downloaded for use in the classroom. The workshop included a keynote speech by Professor Erin Murphy Graham, Assistant Professor of International Education at NYU Steinhardt School of Culture, Education and Human Development. Her lecture began with an overview of her ongoing work with a mixed-methods impact evaluation of the alternative secondary education program Sistema de Aprendizaje Tutorial (Tutorial Learning System) in Honduras. She then opened a discussion that explored gender norms, discrepancies between men and women in positions of political power around the world, and portrayals of women in mainstream media. The day ended with a strong commitment by teacher participants to introduce themes of gender equality into lessons to address these issues with kids at an early age. If you are interested in participating in K-12 Educator events such as this one, please sign up to receive email alerts for K-12 events via the CLACS website. 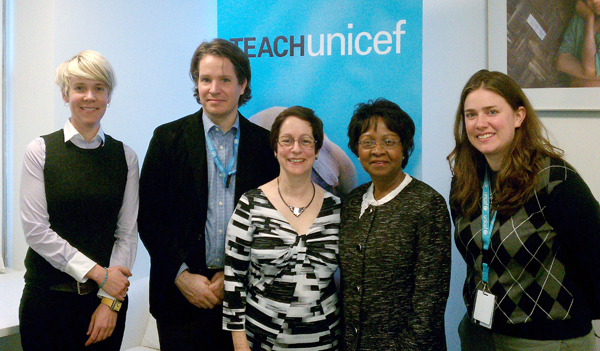 Left to right: Jen Lewis (CLACS), David Donaldson (U.S. Fund for UNICEF), Gail Slater (Spanish BETAC), Nicole Rosefort (Haitian BETAC), and Tara Broughel (U.S. Fund for UNICEF). On March 8th, International Women’s Day, CLACS coordinated with the U.S. Fund for UNICEF Education Department, the New York State Spanish Bilingual Education Technical Assistance Center (BETAC) at NYU, and and the New York State Haitian BETAC to present the workshop “Teach UNICEF: Exploring Gender Equality through Global Education.” The participants, mainly English Language Learning (ELL) teachers of social studies and ESL teachers, discussed the unique contributions of ELL students to classroom discussions of global history and also how best to incorporate global themes and events into the classroom and curriculum. The discussion then focused on teaching about gender through an examination of several topics such as maternal health, education and marriage. Unicef hosts a number of gender-related curricular materials on its website, free for download and usage in the classroom. The workshop concluded with a discussion of how teachers would use the TeachUnicef resources in their specific classrooms. Teachers planned to discuss their progress during the next workshop, which is scheduled for March 30, 2011. If you are interested in participating in K-12 Educator events such as this one, please sign up to receive email alerts for K-12 events via the CLACS website. Learn more about the K-12 Educator Workshop by reading an article on Unicef’s Field Notes website. 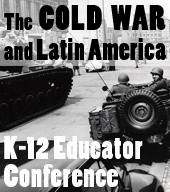 On Monday January 31st, the CLACS Teacher Residency Program hosted the conference “Teaching the Cold War and Latin America in a High School Classroom.” The conference, held during a New York City Board of Education Professional Development day, was attended by public school teachers from over 25 schools across the metropolitan area. The day’s events were opened by Greg Grandin, a well-known Latin American historian and professor in the Department of History at NYU. Grandin is also the author of the recent prize-winning book Fordlandia: The Rise and Fall of Henry Ford’s Forgotten Jungle City. Professor Grandin gave the keynote presentation of the conference, providing a sweeping overview of the importance of Latin America in the Cold War and setting the foundation for the days more specific presentations. 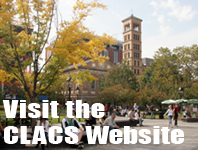 The conference was the culminating event of the CLACS K-12 Residency Program, an effort to connect recent scholarship on Latin America with materials development applicable for K-12 classrooms. The three Residents, who had been researching topics related to the Cold War for a period of 3 months, each presented the curricular materials they had produced while in the program. Rachel McCormick , a Spanish teacher at the Bronx Leadership Academy High School, presented a workshop titled “Media Representations of the Civil War in El Salvador.” McCormick’s presentation outlined several classroom activities, including one in which students walk around and silently write reactions next to a series of black and white photos of El Salvador during the conflict. Over the last 4 years, CLACS has developed a strong partnership with the NYU Steinhardt School of Culture, Education, and Human Development. Together we have organized comprehensive K-12 professional development programming which brings together pedagogy training for educators and Latin America and Caribbean-related content for use in New York City classrooms. Specifically, CLACS partners closely with the New York State Spanish Bilingual Education Technical Assistance Center (SBETAC) to support educators working with English language learners (ELLs), Spanish speaking students, ESL students, and students attending bilingual schools. 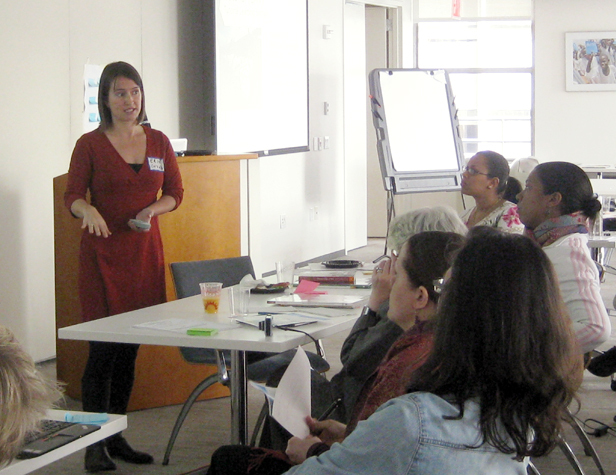 CLACS and SBETAC have also connected with organizations across New York City such as The New York Times, the U.S. Fund for UNICEF TeachUnicef Program, and the Museum of Modern Art (MoMA) K-12 program to offer professional development workshops for K-12 educators.